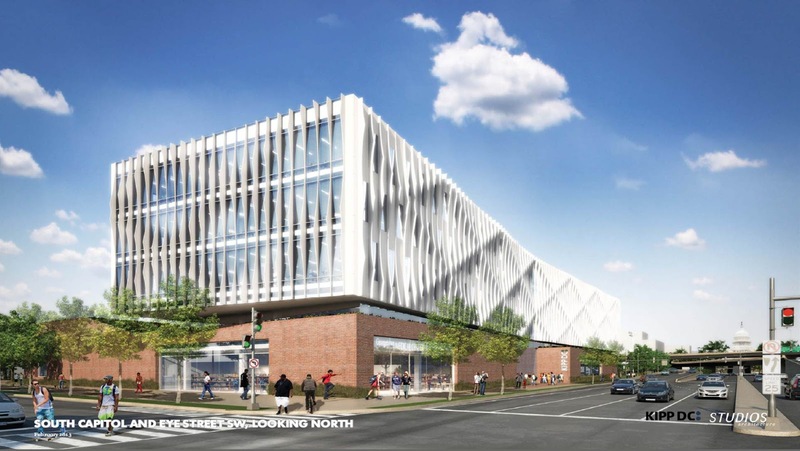 - A couple of editorials in The Washington Post have been written recently on KIPP DC's proposal to build a new charter high school on the site of Randall Recreation Center at South Capitol and I streets. First up is one called District Officials Oddly Unwelcoming to a KIPP Charter High School, authored by the Post's editorial board (disclosure: the Chairman & Chief Executive of the WaPo is on the board of trustees of KIPP DC). The other editorial called No Need to Rush Decision on Randall Park was written by Felicia Couts, President of Capitol Park IV Condominium Association board, which is located next door to Randall. - In what appears to be the result of a domestic dispute, there was a fatal shooting in a residential building at the 1200 block of 4th Street, one block south of the Waterfront metro according to The Washington Post. A Request for Proposals (RFP) will be released this summer for Federal Triangle South and a winner for phase one will be awarded by the spring of 2014. 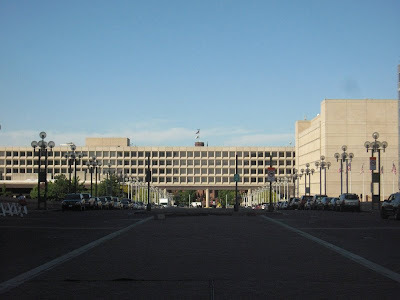 The Department of Energy wants to remain on Independence Avenue, but it could be located elsewhere along the street within Federal Triangle South besides its current location. There are approximately 4 million square feet of office space within Federal Triangle South and an additional 2 million square feet of space can be built under current zoning. More could be accommodated with PUDs. Republic Properties, who developed The Portals complex at 12th Street and Maryland Avenue, is considering residential for a future phase at the project instead of office. The site was zoned industrial so residential couldn’t be done there, but with the rewrite of the Comprehensive Plan that the Office of Planning is conducting, the entire Southwest Ecodistrict area will be rezoned similar to downtown, which will be high density commercial, residential, and governmental. Some components of the Maryland Avenue plan could take up to 30 years to complete. NCPC will conduct a community meeting in May (perhaps May 21) to discuss plans for 10th Street. Progress is being made to bring new amenities to Lansburgh Park, the largest park in Southwest (if you don't count the National Mall), located along Delaware Avenue roughly from K Street to L Street and backs up to the DMV. 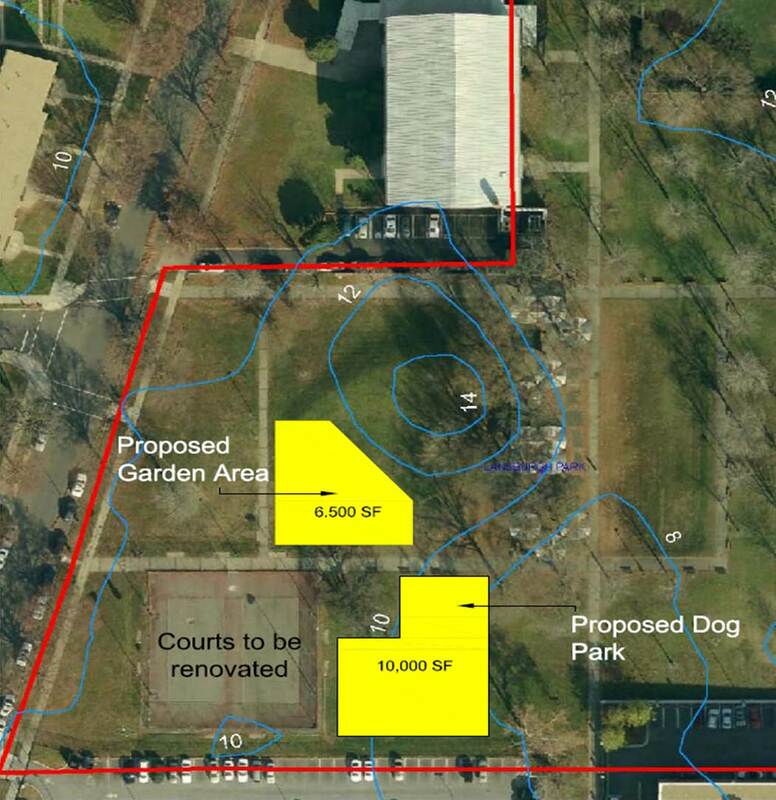 Two organizations have been busy raising funds and garnering support to build a dog park and a community garden. The PAWS of Southwest have received approval from the Department of Parks and Recreation (DPR) to build a 10,000 square-foot dog park to the east of the tennis courts. There will be two areas - a 2,000 square-foot area for small dogs and 8,000 square feet for large dogs. The project is fully funded and plans are to break ground this summer. The District will contribute towards the basics and PAWS will fund the rest. A new blog was created to help the SW Waterfront community with tips for handling and training your dog in an urban environment called Waterfront Woof League. Their proposed “Lansburgh Park Community Garden” was envisioned as a place for meditative gardening and community programming for veterans, youth and seniors. The new [6,500] square-foot garden will provide educational opportunities and give community members a place to reap the rewards of growing their own fresh food. Plans are underway for a one-day Fiskars Project Orange Thumb garden makeover in partnership with The Home Depot Foundation in July 2013. Volunteers from the community will be needed to help put the garden together. 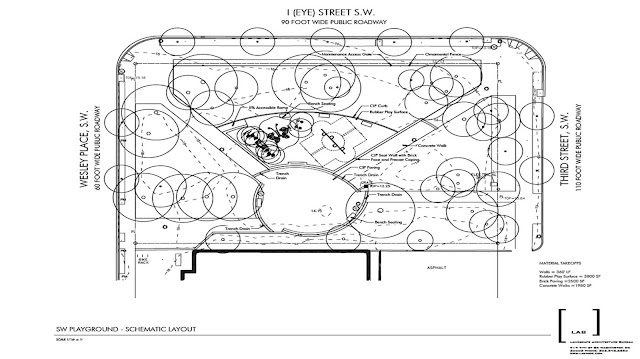 The Historic Preservation Office report found that Harbour Square is characterized by its plantings and hardscape, designed by the acclaimed landscape architect Dan Kiley, who had previously collaborated with [Cholethiel Woodard] Smith on Capitol Park. Kiley's ambitious landscape plan was divided by the buildings themselves into multiple themed gardens, the most impressive being the one-acre “Aquatic Garden,” which contains a pool with its own willow tree on a square island. The pool is the main element of a central courtyard onto which most apartments look, and is also seen through the glassy ground floor of the surrounding buildings. This inter-penetrability of interior and exterior spaces and the integration of nature into the urban fabric are hallmarks of modernism. In fact, the Historic Preservation Review Board found that Harbour Square's green spaces were of "extreme importance" and that "the work of Smith and Kiley together is not separable as part of the overall concept." 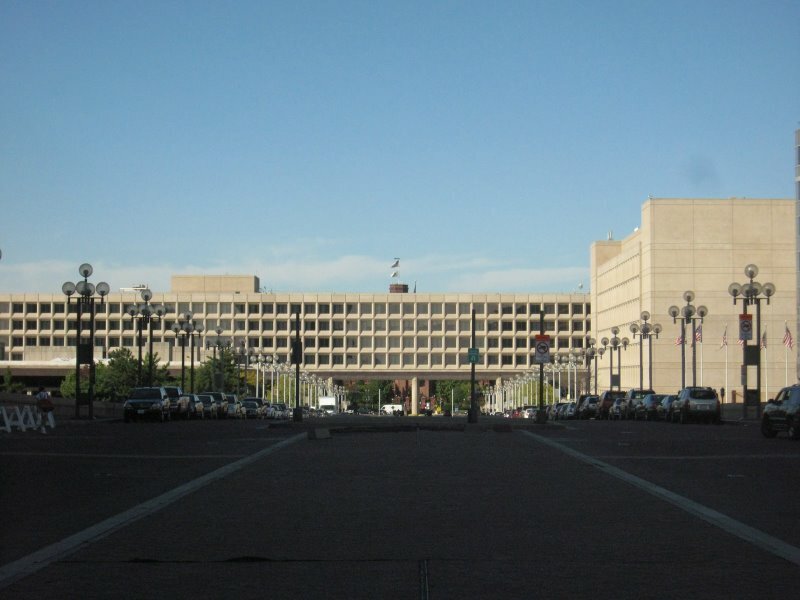 The complex was praised as "a benchmark for good design" and "a model for new urban renewal." 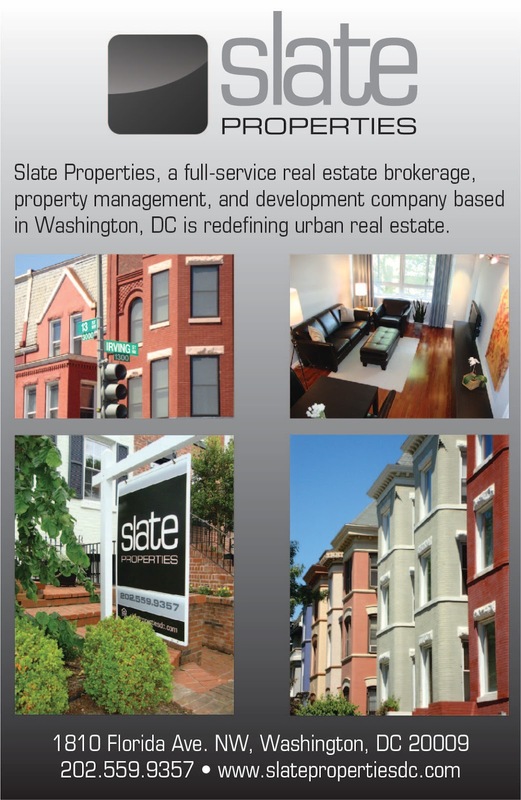 Harbour Square joins Potomac Place Tower, Syphax Village Condos, and Tiber Island as historic residential buildings in Southwest. Spring is finally here and with it comes the annual National Cherry Blossom Festival. This year’s SW Waterfront Fireworks Festival will take place on Saturday, April 6 from 1pm – 9pm, which will be produced by the Washington Waterfront Association and Hoffman-Madison Waterfront. There will be four main stages set up along the waterfront during the festival. The opening ceremony will take place at Kastles Stadium at The Wharf with musical entertainment throughout the day from military and reggae bands. In addition, there will be a food truck rally, a beach with games, a beer garden, along with the Very Cherry Marketplace with fine art and crafts. Lifeguard chair set up in the "beach" area at last year's festival. Over at the Washington Channel Stage, the John Glenn fireboat will parade along the channel with its spray jets, as well as paddle boat & dragon boat excursions, and DC Sail sailing activities. In the evening, the channel will be illuminated with pink lights from the houseboats at Gangplank Marina, the grand lantern will be illuminated, along with lighted Koi in the water, welcomed by the Nen Daiko Japanese Drummers who will be on a barge in the channel. Gangplank Marina Park will have more musical acts, face painters, model boat-making, strolling costumed characters, and Japanese-inspired balloon art. 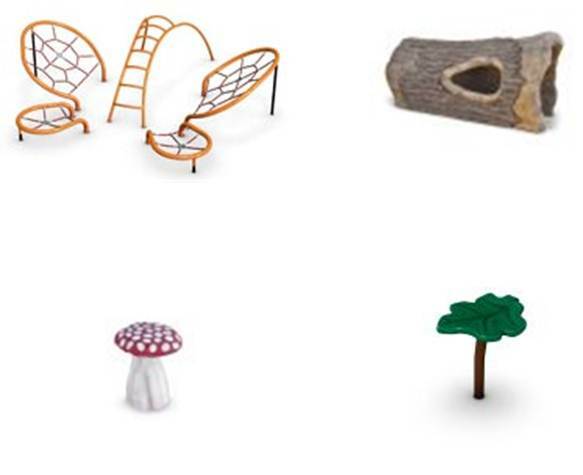 7th Street Landing will also have jazz performances, windsock-making, and Japanese lantern crafting & origami. The fireworks show will begin at 8:30 and last until 9pm. This year’s peak bloom is forecast to take place during the fireworks festival! Crowds at last year's festival. The Southwest community will see 4,500 full marathon runners between 8:45am – 11:45am coming out of the 9th Street tunnel onto Maine Avenue, down 6th Street, onto Water Street, into the Anacostia Trail out onto P Street, down 2nd Street, left onto V Street, north on 1st Street, right on Potomac Avenue, and a turnaround on South Capitol Street (Southbound lanes only) and outbound over the Frederick Douglass Bridge. 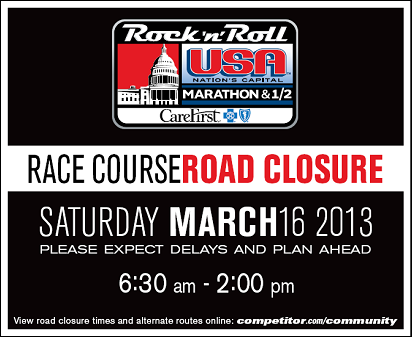 For all additional details on the event and street closures, please visit the website: http://runrocknroll.competitor.com/usa/event-details. 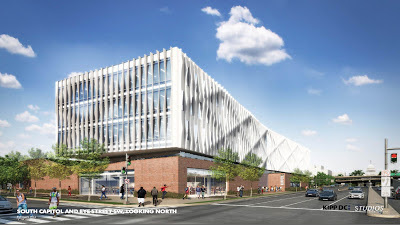 - The Washington Post picked up on the KIPP DC proposal to build a new charter high school at the site of the Randall Recreation Center at South Capitol and I streets, which is owned by the District government. I wrote a post about the issues surrounding Randall last month and there was also an article about it in The Southwester. - A tall ship from the Swedish navy will be dropping anchor at the Gangplank Marina today for a three-day visit. The Federal Triangle South responses indicated that an exchange was a viable transaction, but that infrastructure “will be a significant challenge and will require the coordination of many stakeholders,”according to the GSA. To move forward, the agency would likely issue a more targeted request for a development partner. - George and Mason Inn are hosting Blarney Bash on Saturday, March 16 at Kastles Stadium at The Wharf. Blarney Bash is a 5-hour open bar event and will feature live music, bocce, corn hole, food trucks, and more from 3:30 - 9pm.